The Beginning Sound Strip Cards are a fun, hands-on way to practice identifying beginning sounds in words. Simply print, laminate, and cut. Hole punch the upper left hand corner and add to a book ring. Pair with your little one's favorite letter manipulatives (i.e. letter puzzle pieces, scrabble tiles, alphabet magnets, etc.). Once prep is complete, invite your little one to identify beginning sounds with you! This is when the amazingness of play-based learning takes place while you create early learning memories together! When the beginning sound is identified, encourage your little one to identify the specific letter and place the corresponding letter manipulative in the box below the image. This set includes 2 separate downloadable files - Fruits + Veggies and Summer! 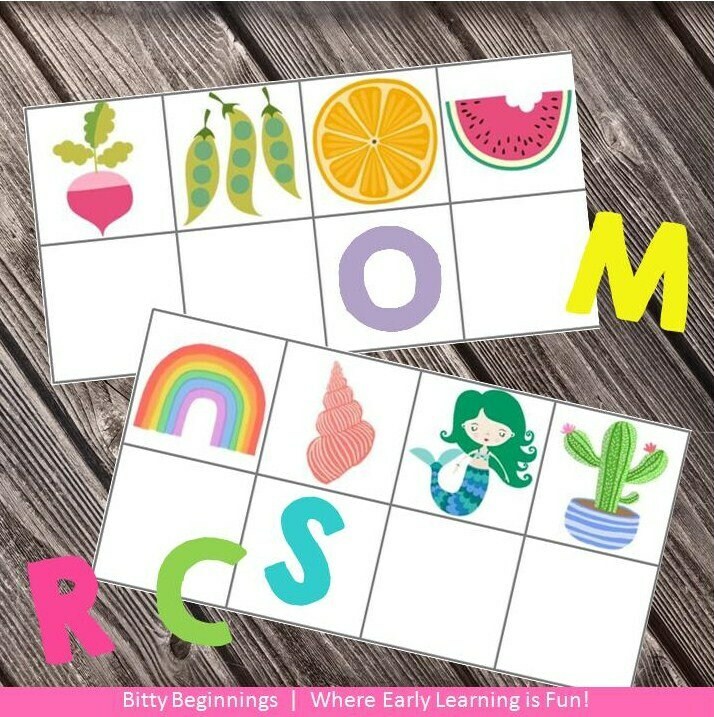 *Idea inspired by Beck over at https://www.teacherspayteachers.com/Store/Busy-Little-Bugs - she has THE cutest early learning sets!